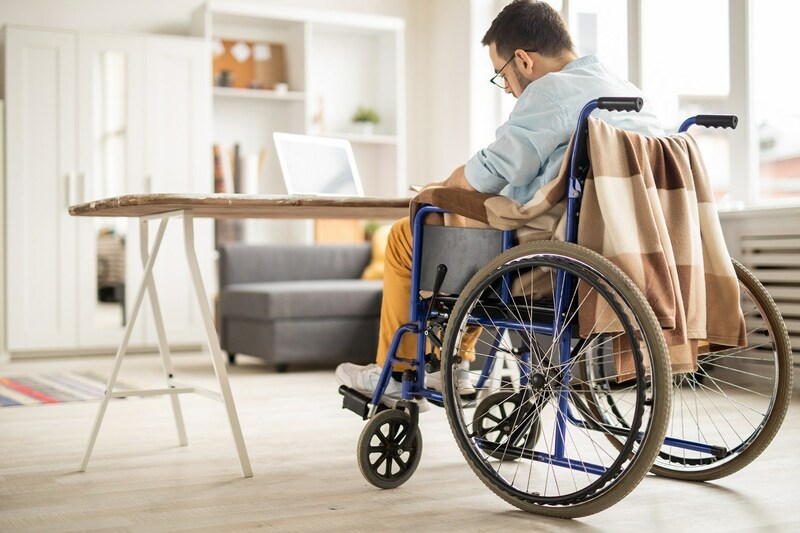 Whether you are in a wheelchair, blind, or even partially sighted, living with a physical disability comes with its own unique set of barriers and challenges, especially if ones’ living space is not properly configured for the complexities of disabled living. Thankfully, there is a plethora of consumer products, most of which are available for purchase online, that are designed for comfort and efficiency in the home and can also be used as AT. From the bathroom to the kitchen, today’s e-bulletin is going to focus on AT that is designed to help individuals with disabilities live safely and efficiently. The following recommendations were put forth by our very own AT researcher/life-hacker Nakia Singh, who is partially sighted. We spend about a third of our life in bed, so why not make the bedroom as comfortable as possible? The following products have been designed to help you wake up and start your day off on the right foot. The Shock Clock 2 is a great alarm choice for disabled individuals, as it is worn around the user’s wrist, making it easily accessible. The Shock Clock 2 first vibrates, beeps, and then eventually zaps individuals with a safe yet powerful shock that not only ensures that users wake up on time, but also re-programs your brain to wake up BEFORE you get zapped. As far as indoor footwear goes, slippers are a poor choice. They don’t offer any type of protection, they typically aren’t ergonomic, and they soak up water, sweat, and anything else they come into contact with. Crocs clogs are a much better choice for mobile individuals with physical disabilities. They are easy to put on and take off, are water and stain resistant, breathable, and offer some degree of environmental protection. For individuals with physical disabilities, navigating the bathroom can be a frustrating and potentially dangerous task. The following products are designed to mitigate some of that danger and frustration and provide disabled individuals with a safe and efficiently accessed bathroom environment. This lightweight, portable toilet seat allows users to safely use (and depart from) the toilet. The Vive raised toilet gives you an extra 5” of height, features gripped stabilizing handles, and is easy to assemble and clean. If you have difficultly getting on or off the toilet, a raised toilet seat such as the one linked above is a definite must-have. Designed to keep you safe in the bath or shower, this anti-bacterial shower mat is machine-washable and built to ensure the strongest grip possible on any tub or shower surface. This mat is 21”X 21”, and features 324 suction cups, making it one of the strongest performers in the category. This may seem obvious, but a solid non-slip bathroom rug is an essential component to a safe bathroom. The product linked above is made with hot melt adhesive, thereby ensuring that the product will not move during use. How many times have you reached into your medicine cabinet for a toothbrush, only to have the contents of the cabinet fall into your sink, creating a mess of medicine and other pharmaceutical supplies? Medicine cabinets are notoriously difficult to access, making them a non-ideal storage solution for individuals with disabilities, especially those who have challenges with mobility and/or reach. Using a storage cart such as the one linked above is a great way to create a safer bathroom environment. Plus, it’s a much more efficient and accessible way to organize your bathroom products. Stay tuned for part 2, which will be coming later this month.